You Must Read This Before You Board That Rollercoaster!!! Well there can be no complaints about the weather the past few days here in Southern Ontario. This morning I was chatting with one of my chiropractic patients and asked what she was up to on the weekend. Typically this time of year people are heading to the backyard making sure all of the chores of spring are addressed. This morning she mentioned that she headed to Canada’s Wonderland…to hit the coasters!! Immediately I thought back to last summer and the numerous times on a Monday morning people were making calls to the chiropractor because of fun induced injury. If you or your family members were heading out to participate in a sport what would you do before you hit the links, the pitch, the courts etc.? Well of course you would warm up the muscles so that they had a good blood flow in order to protect them against injury. 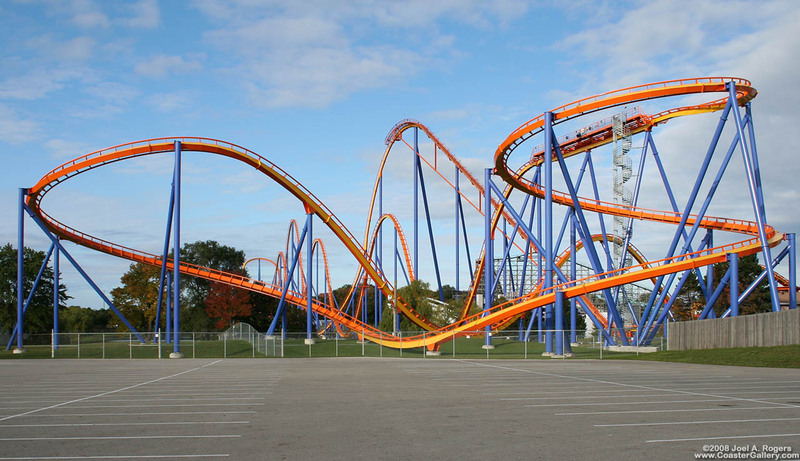 Now think of what a body goes thru on an aggressive rollercoaster ride. The sharp turns, the sudden drops are definitely exhilarating but to my mind it is like going thru a series of minor car accidents. So what is the solution…don’t ride…no … there is nothing like fun for a good time as they say. The crucial point is to treat riding the coasters as a sport and take a few minutes at the park to warm up muscles especially in your neck, but back and extremities as well. By utilizing this simple concept you can avoid an emergency visit to the chiropractor and enjoy your experience.